I have very sensitive skin, and I cannot use anything with parabens and retinyl in it. This is the ONLY EYE PRODUCT THAT I'VE USED THAT DOES NOT GIVE ME A BAD REACTION. I don't even attempt to use any other eye cream. It absorbs quickly, and is very creamy. I love it. Only been using for about 10 days but I already see the difference in the puffiness under my eyes. I also really like how silky the product is and how quickly it absorbs. After trying many eye creams that left my eye contour irritated, this was a welcome surprise! No burning and no irritation for my very sensitive eyes. Leaves some residue so do not use in the morning due to contacts. Haven't used long enough to see results. I've been using this product for years and will continue to use it. I received a sample of this eye cream and I loved it so much that I ordered it. 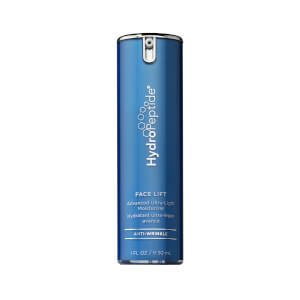 It is very hydrating and instantly goes into the skin. I only use it under my eyes because my eye lids are oily. Love it!!!!! I received a sample of this and loved it so I bought it right away. My main concern are fine lines and I think it helps, although lately the skin under my eyes has been very dried due to retinoid creams and this alone was not enough. I find some firming effect, I cannot say much about dark circles. Absorbs quickly and is not greasy at all. I have been using this for a couple of weeks and I am seeing results. Less puffiness and dark circles. I just started using this product less than 2 weeks ago, but I believe I am already seeing (in my 5x mirror) some benefit. Will definitely stay with it. not sure yet...but I like it. I think I like it. Have to keep using it.